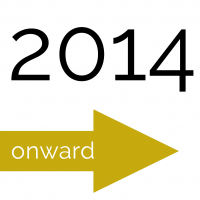 By now, we're pretty sure everyone will be incredibly tired of all the 2013 retrospectives. So rest-assured this article is not going to hit you with yet another one! Rather a look forward to what is coming and some things you should consider right now to start 2014 off right. As always PawPrint has a great deal of work on-going in terms of enhancements to the XDe, optimizations for speed and user experience, as well as new features and services. In late 2013 we discovered a new optimization that has already had a dramatic effect in terms of speed across the entire XDe. There is still much work to be done to continue to permeate this change to all areas of the XDe and this work will continue into 2014. Web site speed is an important factor for both the search engines and for keeping users happy, so it's something we are always keeping an eye on. Mobile browsing and the proliferation of mobile devices is only going to increase and we're continuing to facilitate the use of mobile devices with any XDe CMS based web site. The big changes for 2014 will be in new mobile apps that are currently under development. PawPrint has embraced Phone Gap as our development platform for mobile as it allows us to develop applications that work seamlessly on iOS and Android devices. We have the option of also supporting Windows Phone if these look to actually become widely used. Finally a reminder that the start of a new year is a great reason to change all your passwords. Password security is an ongoing problem as more and more of our lives become tied to data protected by them. In many cases the security of your password is all that stands between you and personal or financial ruin. Start off this new year right by taking the time to go through all your passwords and updating them. We even have an article that can help you choose a secure password that is also easy to remember.